It’s New Year and 2012 has been such an amazing and fantastic year for me as well as all my readers in flygosh especially those of you who got a job as a Pilot and Cabin crew. Seeing some of you flying today are the greatest satisfaction I had and worth every bit of my effort setting up flygosh to help you all. I hope you manage to achieve whatever goals you set last year ( I know I did ) and achieve more this year with all your new resolution for 2013. This is my first post for the year and I am excited to share with you especially on upcoming Pilot/Cabin crew jobs. Last year we manage to put hundreds of Pilot into the cockpit flying in Indonesia. Special thanks to Mr.Arif ( Director of Avia) and the rest of the team in avia who have been working very hard helping people to make their dream come true. We use to hire pilots in Malaysia and Indonesia but have expanded throughout the world namely India, Dubai, Paris and Amsterdam. As usual, since this is the new year, a lot of you asked me whether should you invest money on a type rating, pilot Jobs outlook for 2013 and beyond and any slots or vacancies coming up. I will start with the pilot industry. Bear in mind that this is solely base on my own opinion since I hire them and know first hand info on whats happening behind the scenes. Pay to fly will be the de facto method use by airlines especially “some “ low cost carriers to hire new pilots. It use to be only paying for the type rating but certain airlines are asking you to pay right from zero hours. Jetstar and Tiger airways are some of the airline who practise that. You can see the info here Jetstar Cadet Pilot and Cadet Pilot - Tiger Airways. I know everyone hate it but sadly, that is how the industry will be and is here to stay. But before you complain, you must understand the reason behind it. Oil prices are soaring and as I am typing this, many airlines especially the European region are closing down or going bankrupt. Airlines will find whatever ways to cut cost and asking pilots to pay is one of them. The second reason is to protect themselves. In Indonesia for example, it use to be free and their rating paid for but a lot of expat abuse the system. Once they get the rating and hours, they just ran away to their home country. We all know that ratings are not cheap and always remember that an airline is to make money, not a free school offering you scholarship and lose money in the end. So before you complain, put yourself in the airline’s shoe and imagine yourself as the boss. However the good news is if you are a local citizen, normally you will still be sponsored though it is changing now. For example, malindo has been reported in the news asking all new hired pilots to pay for their rating and line training even though they are locals. You can read about it here . In the eyes of the airline, it’s a win win situation. They get to save cost and you get to gain experience. A lot of people accuse that pay to fly pilots are rich kids who are useless and can’t fly. In my personal opinion, I do not think that is the case. There are simply not enough slots for jobless pilot and obviously not everyone can be invited. I know because at the moment I have 4000+ pilots in my database and some are really good pilots, just that they never have the chance to be invited. Like some of you mention to me, “certain” sponsored students got in because of their connection and race and not base on their capability. One point I want to make is, I am not justifying pay to fly and I hate it too. After all, who doesn’t want free lunch? But this is how the industry is now and no point complaining on things which is beyond our control and focus on things which are within our control that I am sure all of you will agree. Let’s move on to aircraft rating. Majority of you ask me whether is it better to take a B737 or A320 rating. I would say go for whatever aircraft that you like to fly ( unless there is a job guaranteed after you obtain the rating ). If you prefer airbus you take airbus and vice versa. As for me, it doesn’t matter what aircraft type so long I get to fly and I am lucky to be flying a boeing jet today. Both rating are marketable especially in Indonesia since we have so many B737 and A320 operators here. Now let’s go to the important topic of pilot job outlook for 2013 and beyond as that is the biggest headache for the entire thousands of jobless pilot out there. We all read that there is a pilot shortage and there is a need for hundreds of thousands of pilot in the coming years. Honestly, I think all that is bullsh*t.
If journalists are not paid to write rosy stuff, who will enrol into flying school or TRTO to get rating? All their business will collapse. Like i have mention earlier, plenty of airlines are closing down especially in the European region and the market is flooded with experience pilots with thousands of hours. I am getting so many resume from experience pilot and even they themselves are finding a hard time to get a job. The latest casualties are from Singapore Airlines. You can read the news here. Captain are asked to take unpaid ( read no salary) leave and if a major airline like Singapore Airline, one of the most biggest and profitable airline in the world can do this, you have an idea how the smaller ones will survive in this tough industry. That is why there is the pay to fly thing going on, is either they save cost and get some pilots flying, or close down and no pilot jobs at all. They mention that airlines are ordering many aircraft and new planes hence the need for extra pilots, of course they will be extra slots but with so many experience pilot flooding the pilot, where are the jobs for freshies? Plus like the case of Malaysian Airlines, yes they are getting many new planes but they are also retiring many old plane and have excess pilots now. Even then their excess pilots are being send to fly in Indonesia as secondment. Another example is Silk Air which intends to replace all their A320 with B737. Also bear in mind that the new orders of hundred of aircraft is not coming in overnight and it may take few years before they can be delivered. The good news is, we have upcoming slots for CPL/low hour and also those rated with zero hours on type. But the number of slots is getting smaller and smaller as in the last few years, so many foreign pilots fill up all the vacancies in Indonesia. It use to be a common thing to fly to Indonesia and go directly to the airline office to get a job. Now at this point of time, that is not possible anymore and wasting your time and money unless you have connection or know someone inside. But the amount of jobless pilots keep increase daily with them graduating almost every month from flying school around the world. I still remember it takes me few weeks to get a recruitment event to be filled up last time, today I only need few hours before we are fully booked. I know what I am saying above is not really a good piece of news especially for the start of the year since everyone love to hear rosy and beautiful painted story that there are tons of job around. I am not saying there are none, just that it is limited and it is becoming a challenge to get your first airline job especially for freshies. Some says that it is important to stay positive which is true but I suggest you want to add a thing called “reality”. Staying positive and being reality is too different thing. That is exactly why so many invest a lot of money in their CPL and rating and end up jobless. Remember, nobody put a gun in your head and you can only blame yourself for not doing your research and being ignorant. I am not saying don’t do it since like myself, no matter whether the industry is good or not I will still chose to become a pilot as I can’t imagine myself doing any other jobs. It’s a challenge and I waited 2 years after flying school before I got my first job. So if I can do it, so can you. In fact as all of you know by now, I am giving people the opportunity to become a pilot , something which I have never imagine I will do so since I was once in your shoe, a jobless pilot knocking doors around the world looking for opportunity. I am not blowing my horn here but today I have to politely decline offers and seriously life can turn out to be awesome when you least expect it ! ( provided you have a positive mindset and take action ). What I wrote above may not please some of you, after all we can’t please everyone right?. Look you can complain and procrastinate which in my dictionary, that is wasting time and a pilot job can never drop down from the sky or you can chose to take action under whatever circumstances and make the best out of it. 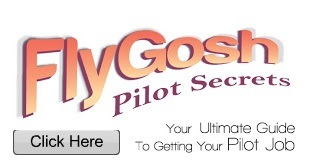 Honestly, if I can, I will invite everyone ( 4000+ in my database ) and hope all of you become a pilot. But you and I know that is not possible as there are limited slots. Their first priority is always their own local citizens first. Just like Malindo, their newly recruited pilots must all be 100% Malaysian. That’s why the best way is to try your home country airline first if that is possible. For those of you who are considering taking up piloting as a career, make sure you have done your research and have all the financials in place. It’s an awesome career and worth every effort to be where I am today. Also, please consider taking up a university degree before you embark your career as a pilot. I spend 4 years in university before I fly and it is important to use your degree as a backup in case ( touch wood ) your pilot career fail or “yet” to take off ! With that said, I want to take this opportunity to wish you a wonderful year for your success in 2013.